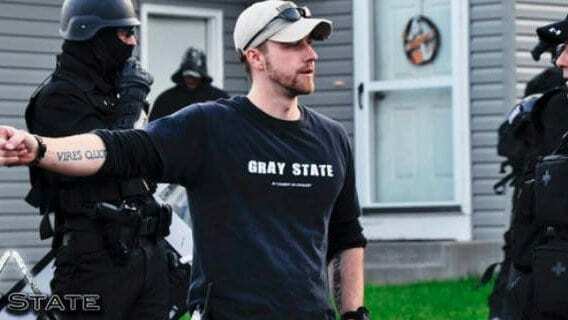 David Crowley, the director of “Gray State”, a movie about the New World Order and the occult mind-state of the elite was found dead in his home, along with his wife and young daughter. The Dakota County Sheriff’s Office stated that the deaths appeared “suspicious”. 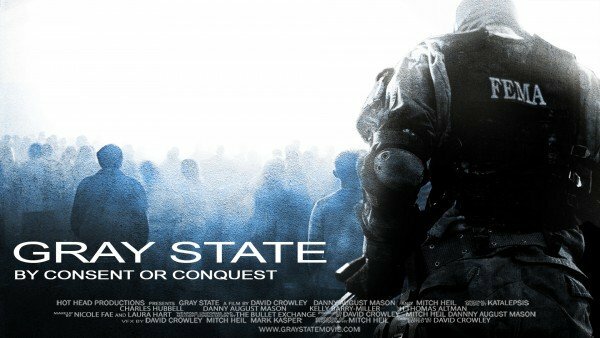 David Crowley wrote and directed Gray State, an unfinished movie about the militarization of police, the imposition of a martial law, high tech surveillance, RFID chips and the occult mind-state behind it all. 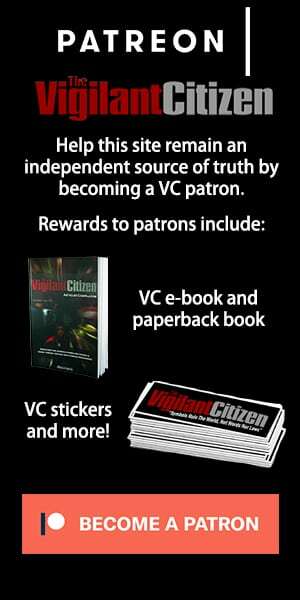 The movie’s Facebook page states that the story is about “a wounded veteran who leads the insurgency against a corrupt Government after nationwide martial law has been declared.” Here’s the concept trailer of the movie. A poster of the unreleased movie Gray State. On January 17th, the bodies of David Crowley, his wife Komel and their five year-old daughter were found at their home. The bodies of David, Komel and their daughter were discovered on Saturday by the Crowley’s next-door neighbor, Collin Prochnow. It was reported that the bodies had been inside the home for several weeks. Prochnow said that he had not seen any activity in the Crowley’s home since around Christmas, and he had initially assumed the family was traveling during the holidays. Prochnow said that packages were accumulating on the home’s doorstep and noticed that the lights inside the house were on day and night, so he decided to check on the family’s wellbeing over the past weekend. Prochnow looked through a window of the house and discovered three bodies, along with a handgun, laying on the floor. A dog, which was alive, was also present. Audio from police radio obtained by MnPoliceClips.com revealed that police had found “several obviously deceased bodies in the front” of the home and there was a “very angry dog inside.” Police stated that the situation appears to have been a murder-suicide. The deaths of Komel and the little girl were ruled as a murder while Crowley’s death was ruled as a suicide. A handgun was found next to his body. Apple Valley police Capt. 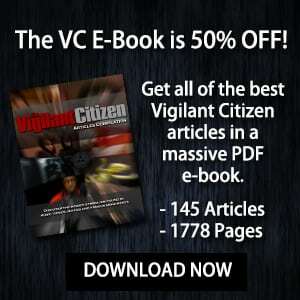 John Bermel noted a few suspicious details, notably that there was no sign of violence or struggle on the crime scene and that a sliding door on the back had been unlocked and “slightly ajar”. “There was nothing like that,” Bermel said. Investigators stated that the last “verified activity” in the home was in late December. Bermel said “What we’re realizing now is that there was some amount of substance use there, some financial stress and – as we’ve seen in some of the (news) stories — what we’re learning is there was starting to be some isolation,” although Bermel did not expound on the type of substance use. “What I can tell you is we are getting some indications of what may have contributed to this,” Bermel said. While preliminary police reports state that Crowley resorted murder-suicide after months of depression and isolation, other observers believe that he was killed by the very system his movie was opposing. Investigation is still underway. Killing him along with his family serves two important purposes for the rulers of this world: 1. Intimidates others from coming forward with material and media exposing their agenda 2. Anyone who thinks in conspiratorial ways is made out to the public to be depressed, suicidal, and a danger to themselves and others. David Crowley, wife and daughter may they rest in peace forever. You did not die in vain. God will take care of these evil people. They will pay an eternity for what they have done to humanity. Murder as usual. Blame the good guy….make it look like murder suicide. Those with a functioning brain cell know better. Those in denial will eventually find out especially when they start coming for them. I will die before I bow a knee to the NWO or the One World Religion. Killing people that expose the truth is really all the proof I need that the NWO deception is a reality. May God bless and keep all of those that have died/been murdered to uncover the evil that permeates this world. Much more than ‘lazy’ – this is decidedly ‘dangerous’. People need to understand the full scope of what we’re up against, how deep the deception runs. Lots of people ARE going to fall for this and WILL panic when the s--t hits the fan. I agree with your assessment. Nothing adds up in this scenario. It could be ALL fake indeed! I think It’s just a clever way to exploit the huge interest in anything about the NWO! "He came home and said there were dummies [mannequins] on the floor. And a gun," his wife Judy told the Star Tribune. "To me, they just didn't look human," said Prochnow, who had assumed the Crowleys had gone out of town for a while. The NWO is violating their own safety manuals (1984). DO NOT MARTYR THE RESISTANCE. Either they are desperate, or they think their NWO is already unstoppable (public opinion be damned). They serve Lucifer and share his tratis: arrogance to the point of stupidity. They will share his fall, no doubt. I don't think It was a retaliation.I think they're pushing for chaos and conflict and the movie contained resistance In the form of violence and warring with the enemy.That's what they want to promote and by killing this man and his family , they help build up a rage In people.That Is the whole purpose of their plan. Order out of chaos. Rest in peace and thank you for fighting for the truth, David. I just cannot wait to watch the demise of the elites – It's predicted and it's coming. They think their plans for a New World Order will be successful, but it won't, they are actually stupid! There's something out there bigger, better and mightier than all of us that will sort them out! The last scene in the trailer depicts a man wearing all white with blood over his garment suggesting he'd been chopping off heads with the guillotine showed there, while someone (possibly the man in the white robe) yelling in the background "…every enemy of the state!" This is clearly an allusion to the beheadings that are to take place in The Great Tribulation. Let it remind you that the second coming of Christ is right at the door. Do not get left behind. Is that what you are goin to do “WAIT: Wheres your Millitia??? Even if this is coming to pass it is folly for you to dread it. By submitting to fear and worry and even imposing it on your children you are playing their game. Chin up – this is a spiritual battle. Your physical existence here – and that of your children – is but a transitory phase inevitably cut short by physical death. Tell your family you have come to a better understanding and change your course. Either do something positive or nothing at all. This isn’t the first whistle blower death to follow an appearance on Alex “Stratfor” Jones’ sheeple disinformation show. Look up the DC Madam. Did he offer eulogies for the suicided? I don’t know but doubt it. For those wanting more info about the Iluminati/NWO check out the documentary Conspiracy of Silence (which was going to be shown on Discovery and was pulled!) Read about The Frankiln Scandal, Trance:Formation of America by Cathy O'Brien, Thanks for The Memories by Brice Taylor, research into the Bohemiam Grove, a private club for the elite, including presidents (and it seems you have to be a member of this club to be president!) This club has a huge stone statue representing the demonic deity Moloch, whose worship involves killing children.Paul Bonnacci has told of being involved in the sacrifice of children at this club.Remember this is a club your presidents have been associated with. You need to educate yourself about this because it is your life and land at stake. I have a feeling this is a hoax, perhaps maybe to prevent other prospective (future) directors from attempting to create propaganda of such i.e to awaken the masses. This doesnt seem legitimate to me, it comes off as forced. I agree. Apparently the next door neighbor that that discovered the scene initially reported that the 3 bodies did not look like corpses – rather, he said they looked like 'dummies'. Apparently, this David Crowley has previous ties to various NWO-type activities/groups, so it's quite possible he was some kind of double agent for whom it was time to put under deep cover. this is all fake to make people live in fear of the government. They did not die, they were just removed from the system like the film 'erasr' with arnold swartzenegger. this is exactly what happened to arron russo (remember him? ); he made a film, supposedly 'died', then cropped up years later as a doppenganger with a new name after spending time away from society, ditto on all the nasa scientists that suppsoedly 'died' (they are now on mars continuing their work). The ptb do not kill innocent women and children- even if they are part of the enemy; the 'karma' or spiritual repercussions are too great- especially in this modern age of total media exposure. this is NOT fake. I live about 15 miles from where it happened. If it can happen in suburban MN, it can happen anywhere. WAKE UP! Last name Crowley? Any relation to Aleister Crowley? Makes me wonder! This feels/seems fake! I don’t mean the deaths of these people, but the movie seems too good to be true, as It’s seems to pander to all of the people who claim to have knowledge of the NWO! Perhaps a good distraction, to keep our eyes off of what’s really of importance! Also it seems like an exploitation of the very real subject it claims to depict. I say BS! It just doesn’t feel right. Nothing good about this at all.